The PinchukArtCentre is proud to present a major international group exhibition with 19 leading artists of our time, devoted to Sexuality and Transcendence as a central theme of contemporary art. On view from April 24, 2010 through September 16, 2010 the exhibition examines the diversity and complexity of the art produced on this theme today. Featuring loans from both artists’ studios and private collections the exhibition includes nineteen major work groups with a total of 150 individual works in twenty rooms on four floors of the PinchukArtCentre. Many works have never been shown publicly before. The staircases of the building are used as art spaces for the first time with installations by Jenny Holzer. 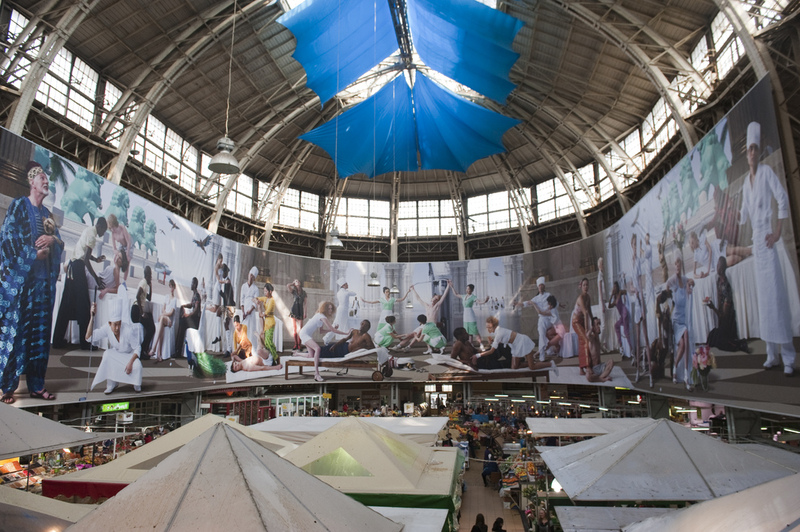 In addition, for the first time ever, the PinchukArtCentre utilised the historical Bessarabskiy market hall located opposite for an eighty-meter-long frieze by AES+F. Inspired by the great affinity to the exhibition theme and for the PAC as a leading institution for contemporary art all of the artists created special contributions partly in the form of new productions, of a special reappraisal of existing works or the selection of rare most recent work groups that have never been displayed as part of a major international exhibition. 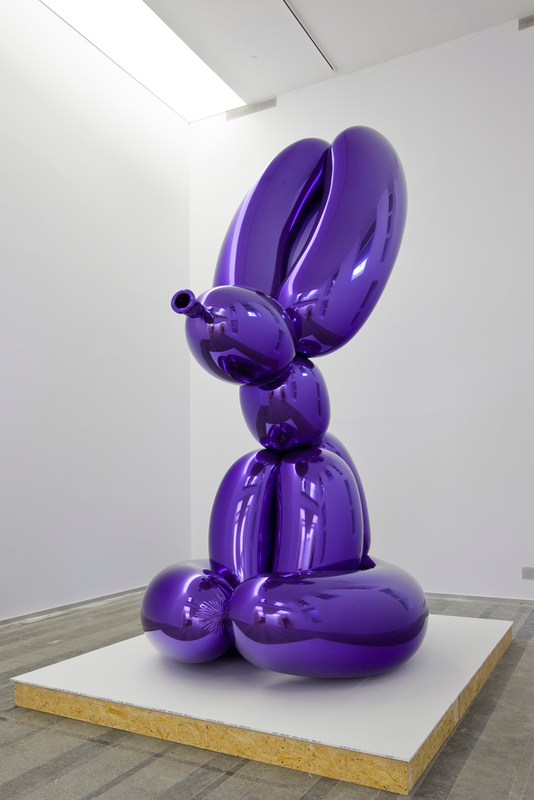 Jeff Koons’ Balloon Rabbit a monumental sculpture from his famous celebration series will has his world premier at the PAC together with other key works created over twenty years. ‘Sexuality combines the idea of a world of subjective emotional references, a world of the instant, of anticipation, of desire and becoming and of orientation and disintegration as well as the extremes of destruction and violence. Sexuality is associated with an image of the real, of warmth and intimacy, whereas transcendence implies a world beyond reality. 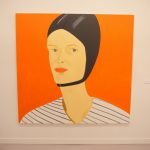 The concepts of spirituality and transformation predominate the latter, a sophisticated consciousness far from any purely subjective object-relatedness’ – Eckhard Schneider, the General Director of the PinchukArtCentre and the curator of the show. The issue of sexuality and transcendence touches on a fundamental conflict in art in general because, beyond mere appearance, behind it hides the general question of the relationship between reality (life) and imagination (image). And so the relationship between form and vision becomes a crucial issue for any artist dealing with sexuality and transcendence. Which direction is a particular work going for? Does it answer the challenge with a praise of distance (form/transcendence) or with a demonstration of intimacy (life/sexuality)? The answers to these questions are so varied because, in addition to the paradigms inherent in the theme, the concept of desire is of central importance here. The general idea is kept open, both in respect of a desire for an ideal mental clarity, intellectual penetration and clarified form, and in respect of a desire for an ideal of realism, emotional directness and dissolution of form. Something Janus-like clinging to desire means that the two poles of sexuality and transcendence can be reflected within each other. The desire for the two things, sexuality and transcendence, dominates our existence; it is the driving force behind our earthly performance and, especially for artists, the search for an appropriate form. The exhibition presents nineteen work groups with a total of 150 individual works in twenty rooms on four floors of the PinchukArtCentre. 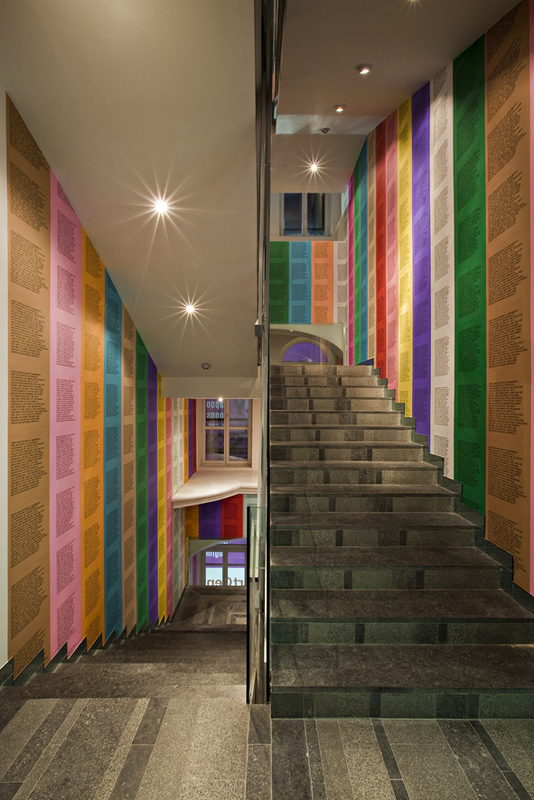 The staircases of the building are used as art spaces for the first time with installations by Jenny Holzer; the central stairwell features an in-situ piece with her famous texts from the series Inflammatory Essays and a second staircase houses a work with LED. 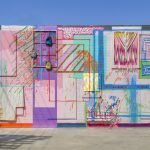 In addition, for the first time ever, the PinchukArtCentre utilised the historical Bessarabskiy market hall located opposite for an eighty-meter-long frieze by AES+F, a group of artists from Moscow. With its intense sociocultural flavour and distinctive architecture, this historical site, which is of great importance for Kiev, provides an ideal public counterpoint to the artistic message propagating a new hybrid aesthetic of fusion. Inspired by their great affinity for the exhibition theme and for the PinchukArtCentre as a leading institution in contemporary art, all of the artists decided to create some special pieces, partly in the form of new productions such as those by, amongst others, Anish Kapoor, AES+F, Cindy Sherman, Matthew Barney and Elmgreen & Dragset; of a special reappraisal of existing works by Paul McCarthy, Richard Prince, Boris Mikhailov and Takashi Murakami; or the selection of rare or recent work groups that have never been displayed as part of a major international exhibition before. These last include pieces by Louise Bourgeois, Hiroshi Sugimoto, Sarah Lucas, Annette Messager and Illia Chichkan. This allows the PinchukArtCentre exhibition to present arguments that are totally relevant to our own times. Jeff Koons takes a key role in the exhibition with a comprehensive presentation of works from the last twenty years. Spread over three different floors of the PAC building, they form the backbone of the exhibition. A total of ten key works, six sculptures and four paintings from the series Made in Heaven, Celebration, Popeye, Hulk Elvis are on display. Highlights of this selection are the early icon Rabbit, the sculptures Cracked Egg and Blue Diamond from the Celebration series and the world premiere of the first version of Balloon Rabbit, an astonishing new creation, surely becoming an icon like his key early work. Koons’ contribution thus acts like a mini-retrospective on the theme that forms the core of his whole oeuvre, namely, the ambivalent relationship between sexuality and transcendence. 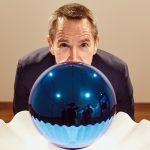 This is where the driving force behind Koons’ work has always been, especially when he transforms everyday objects into works of art by exaggerating brilliant surfaces, which then become both objects of trust and desire. This association of self-affirmation and acceptance in the reflection of one’s own desire for beauty and perfection defines Koons’ work as the perfect synonym for the ideal of a ubiquity of sexuality and transcendence. 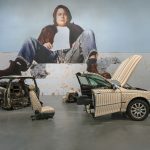 The exhibition is accompanied by a comprehensive publication, and a supporting programme presents the artists and their works for discussion within the thematic context. New co-operations with international cultural institutions and numerous embassies have enabled an extensive programme of panel discussions concerning art, literature and film, in the context of the globally important question of the relationship between morals and state censorship. Curator – Eckhard Schneider, the General Director of the PinchukArtCentre;Co-curator – Bjorn Geldhof, the artistic manager of the PinchukArtCentre. International brand NEMIROFF is a partner of the PinchukArtCentre. This entry was posted in EXHIBITIONS and tagged AES+F, Anish Kapoor, Annette Messager, Bjorn Geldhof, Boris Michailov, Cindy Sherman, Eckhard Schneider, Elmgreen & Dragset, Hiroshi Sugimoto, Illya Chichkan, Jan Fabre, Jeff Koons, Jenny Holzer, Louise Bourgeois, Matthew Barney, Maurizio Cattelan, Paul McCarthy, Richard Prince, Sarah Lucas, Takashi Murakami, The PinchukArtCentre, Tino Sehgal. Bookmark the permalink.